Situated 3 km from Chelsea FC in London, this apartment features free WiFi. The unit is 3.1 km from Stamford Bridge. Towels and bed linen are provided in this apartment. There is a private bathroom with a bath. Riverside Studios is 3. 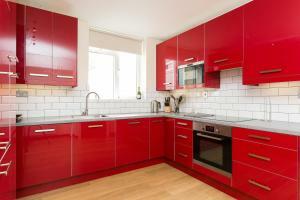 See all Apartment Grosvenor Court - East Putney reviews..